A walker was airlifted from a Lake District fell after he was knocked unconscious in a fall. The 68-year-old was walking with his nephew on Birk Side, on the western flanks of Nethermost Pike on Sunday. The man slipped while descending a rocky path and tumbled two to three metres, injuring his head and lower leg. Two team vehicles and volunteers made their way to the car park at Wythburn Church and rescuers made their way on foot to the site of the incident. “Because the gentleman had been unconscious for a short time, it was decided to call for air support,” the spokesperson said. Because of concerns the walker might have suffered a spinal injury, the team put him in a vacuum mat before carrying him to the helicopter, where he and his nephew were flown to Carlisle Infirmary. 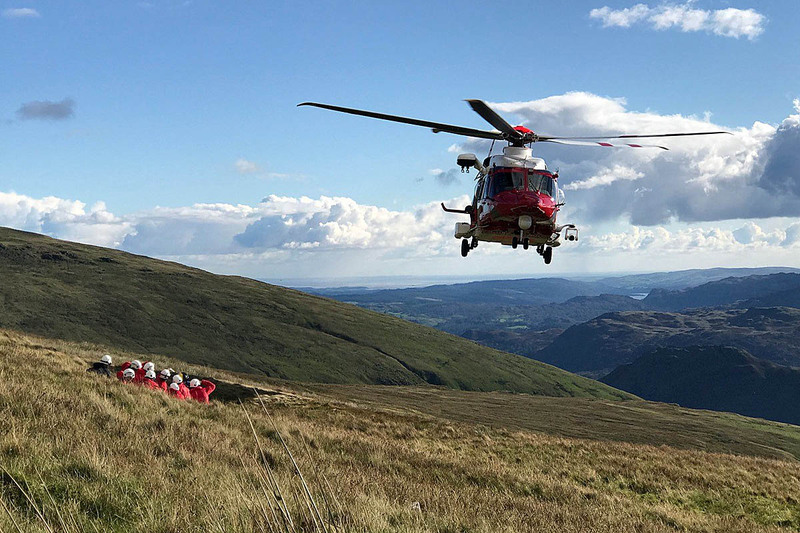 The rescue involved 16 members of the Keswick team, plus the Langdale Ambleside team member, and lasted almost 2¾ hours.